It’s Sunday and that means I have a new video for you. This time I’m taking you with me to the gym again. I’m slowly finding a new rhythm with heavier weights for fitness. I also had my first run today and it went so much better than I thought it would go. My last run was somewhere in august 2017, mostly because that’s when my hay fever is at it’s worst. It’s quite dangerous for me to run during that time. I more than once came home with a huge allergic reaction and trouble with breathing. But now the weather is perfect! I’ve noticed that running outside is the best cardio for me. It’s also good for getting some vitamin D, which I also get with supplements. That’s what I’m also showing you in this vlog today, my new vitamins and supplements! I bought a bunch of them to give my body a boost and keep it healthy. Having food allergies makes it hard to get everything I need through my diet. For example, I can’t eat avocados anymore. The allergic reaction in this vlog was too bad to handle. So let’s go, get into the vlog so I can tell you all about it! P.S. Subscribe to my Youtube channel for more video’s and check my latest workout! 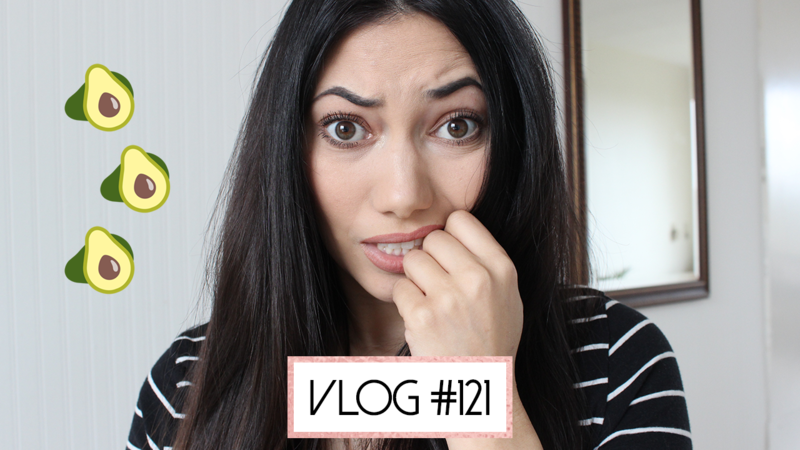 Vlog #20: I’m freaking out!